I love this time of the year. The garden is vibrating with life and with blossoms now on many of the fruit trees. While the perennial deciduous plants are awakening, I am preparing a feast of food producing annuals. In the greenhouse that Ralf and I built about five years ago, seeds are pushing through the seed raising media and displaying their first leaves. I am in the greenhouse twice a day most days to make sure that the seeds do not dry out. 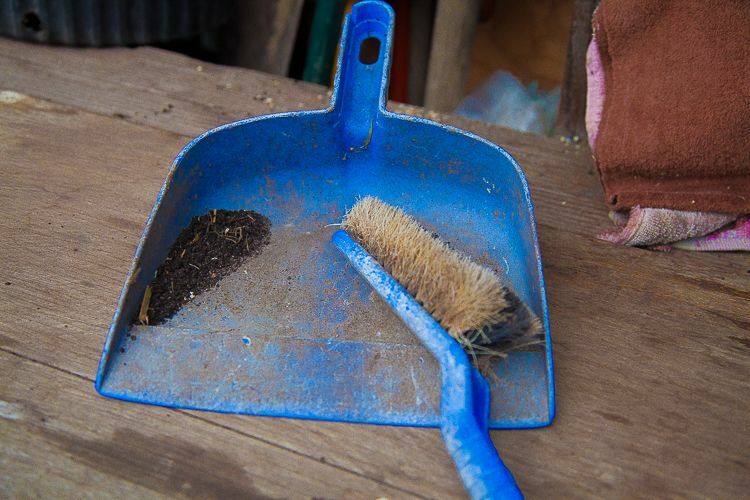 I am collecting worm juice and preparing liquid fertiliser from my chickens manure. 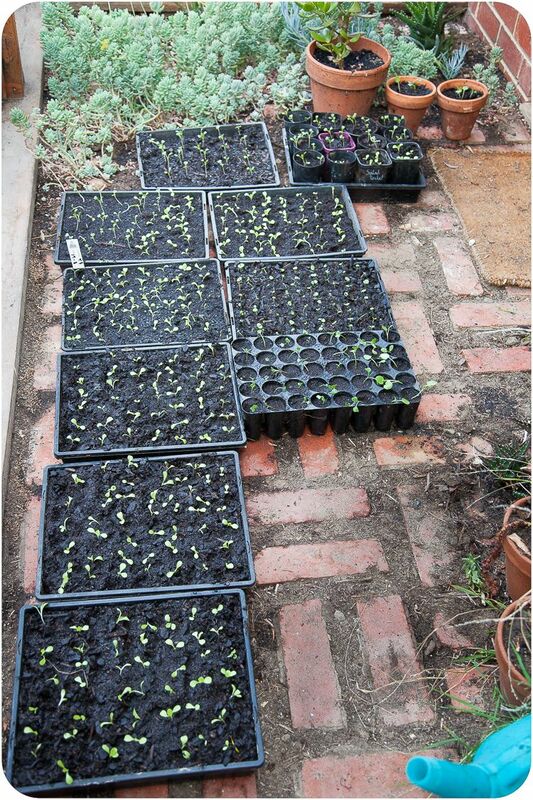 The seeds have turned to seedlings and over the past week and oncoming weeks I will be pricking out and resowing them with greater spacing in new trays or pots. I have placed the tomato and eggplant seedlings in larger pots as I want them to grow quite tall before planting them out in the garden beds. 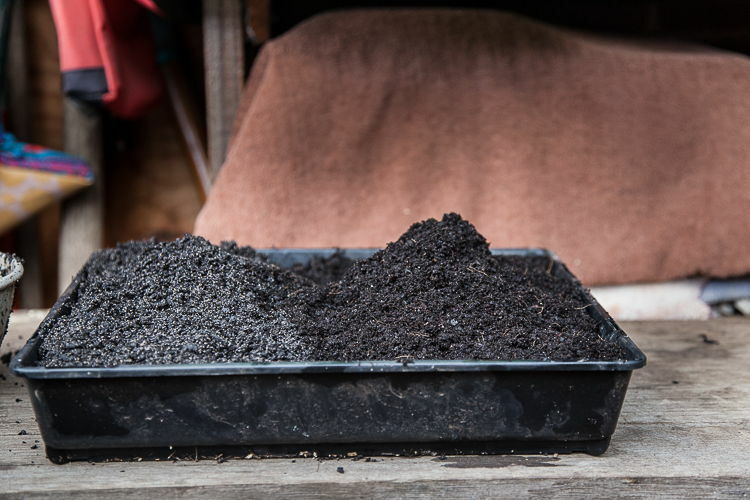 Over Sprinter and Sprummer I will be adding more and more information to this post about seed sowing and the biology of seed germination. For any of you who have never sown seeds before and need a little bit of support and guidance, I hope to produce a post that can help you on your way. And for very small seeds a little seed sowing trowel. 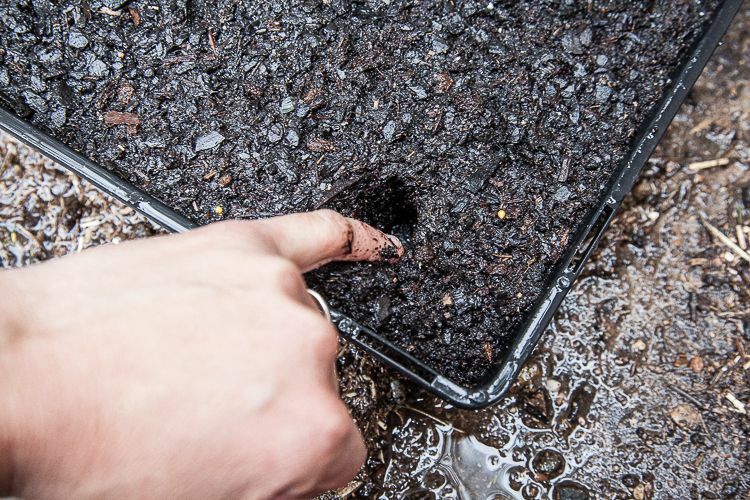 Once the trays are clean, fill them with your chosen seed raising media. Make the media go to the very top of the tray as once it is watered it will tend to settle a little lower. Gently flatten the surface of the media without compacting it (without pushing down on it). There is lots of air trapped in the media and that air is important if germination is to take place. 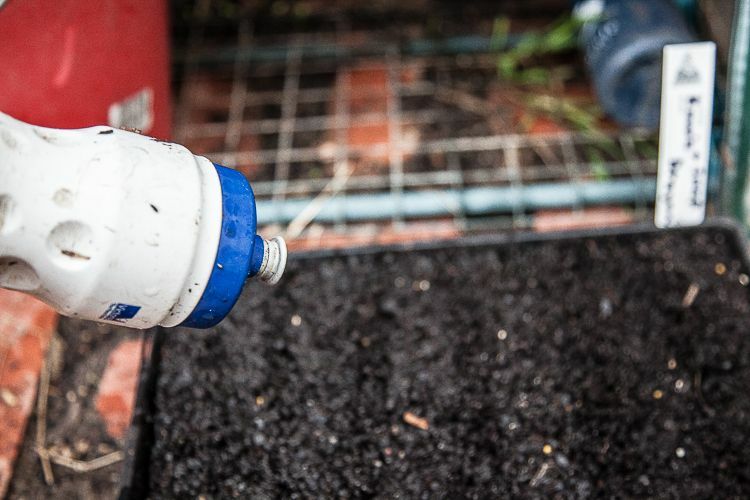 Water the tray (trays: doing lots at the same time saves time) gently with a very fine spray setting on your hose. Don’t aim the hose straight down onto the media, point up so that the water falls gently when it lands. Water for between 30 sec to a minute. It can take a little longer than you might think for the water to wet the media right through. If unsure test one of the trays by pushing a finger right in. If you are confident the media is wet through you can place your tray(s) on a work bench, or any space that can get wet and dirty while you work. 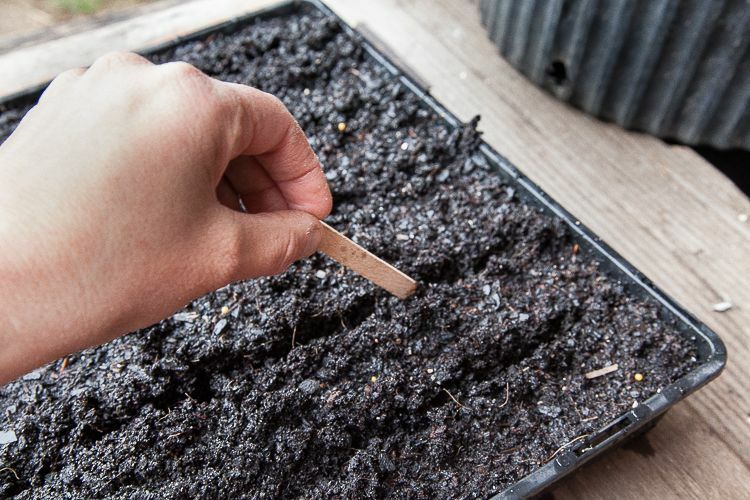 Use an ice cream stick or something similar; a butter knife that you are happy to donate to the garden, anything that can help you create furrows/channels in your seed raising media. Leave a 2 cm space between each furrow. It does not matter which way you run the furrows (north to south or east to west). Choose the seeds you want to sow according to the season you are in. 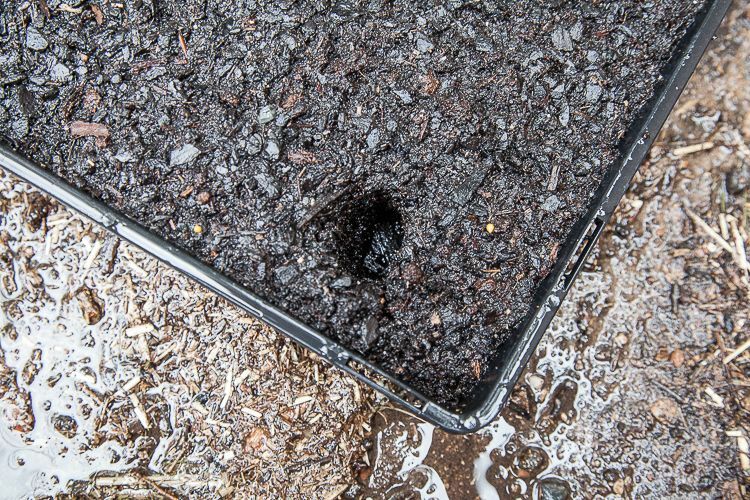 Then plant the seeds leaving a 1 cm gap between each seed if possible (very hard to achieve which is why after the seeds have germinated you prick out and replant with suitable spacing) but none the less do the best you can. With large seeds this is achievable but with very small seeds, impossible. 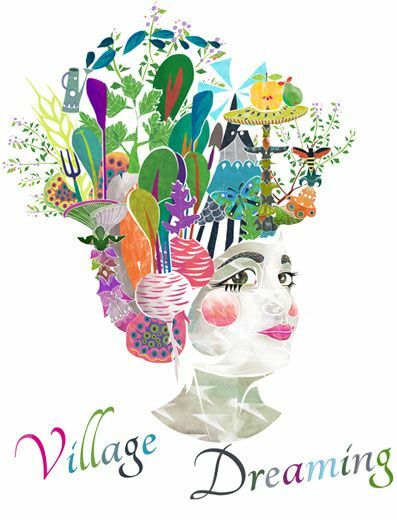 Sow the seed to a depth equal to the size of the seed. 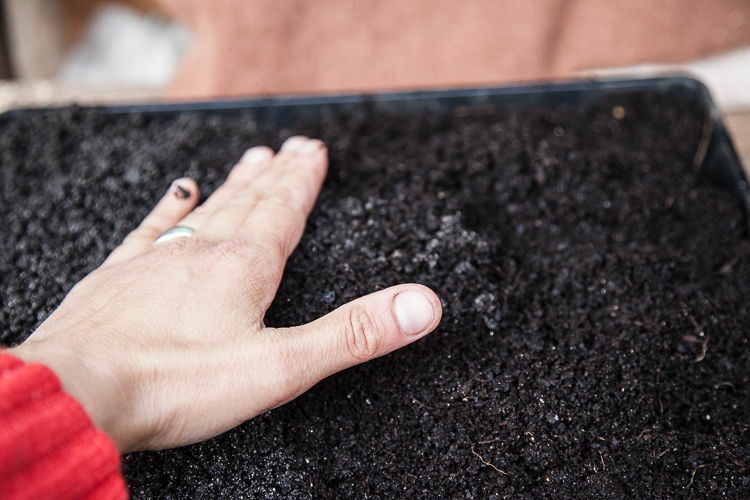 Once a tray has been fully sown with seeds, use your fingers to gently push the sides of the furrow back towards each other. Some people like to use a fine sieve to sieve seed raising mix on top at this stage. I am happy with the results I obtain by using my fingers. Further saturate the media by wetting the seed in with the bike riders drinking bottle. Let the water out gently. 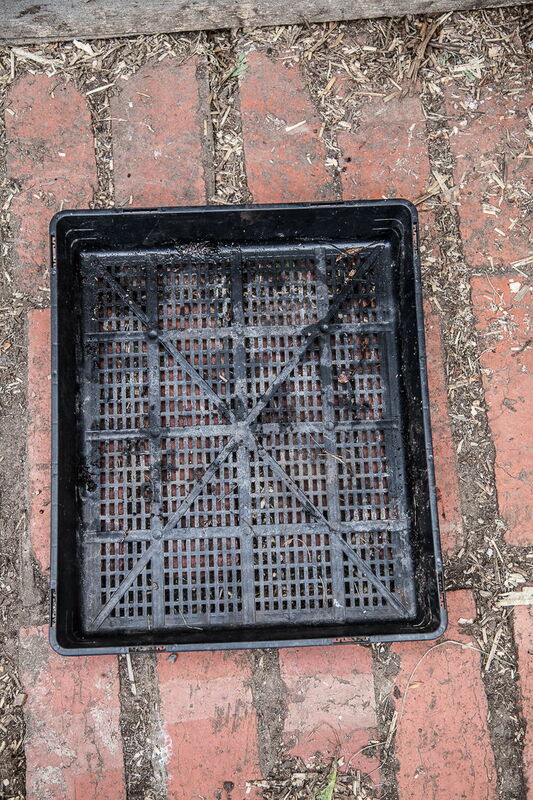 Place the prepared tray in a greenhouse etc. and water every day and twice a day on very sunny days. 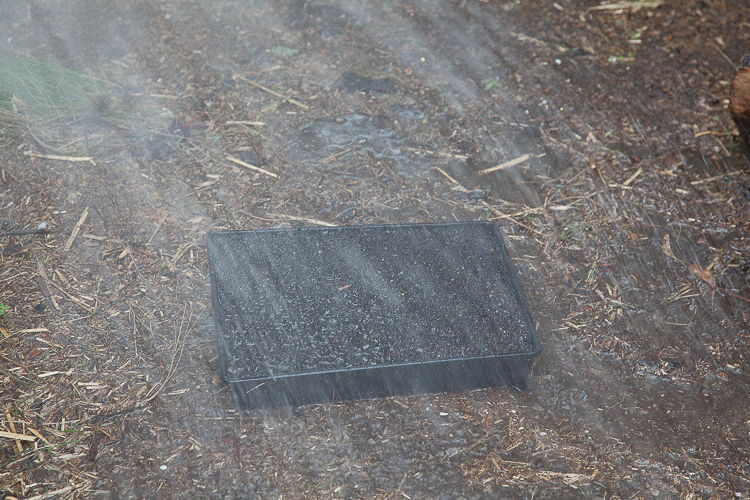 Seed tray ready to be washed. 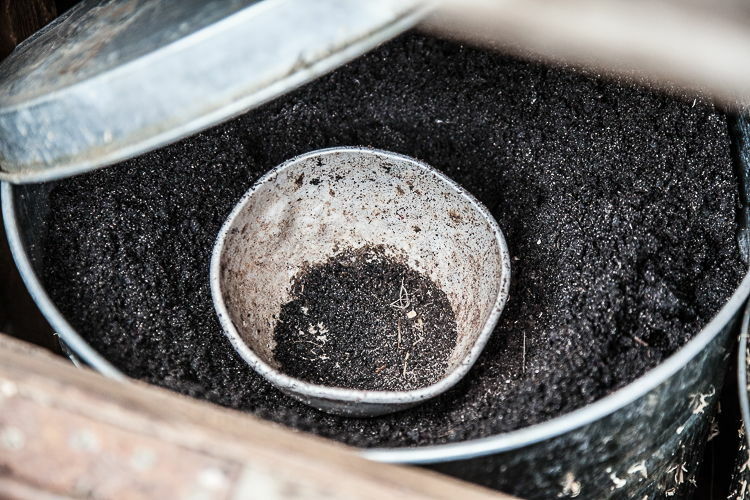 Seed raising media is kept in a large steel container to keep moisture in and mice out. 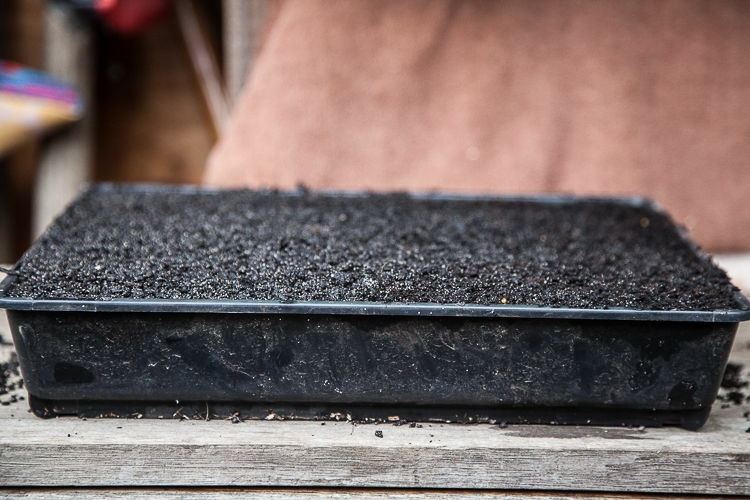 Add seed raising media to the tray. Two different types are been used here just to show that each seed raising media is a bit different. The one on the left has more sand. Smooth flat media gently. You want to keep air pores in the mix. Water in well in an area where the water can be used by the garden. Do multiple trays at the same time. If unsure that media is wet through dip a finger in. I like to use an ice cream stick to create either very shallow or deep furrows in the media, depending on the size of the seed. 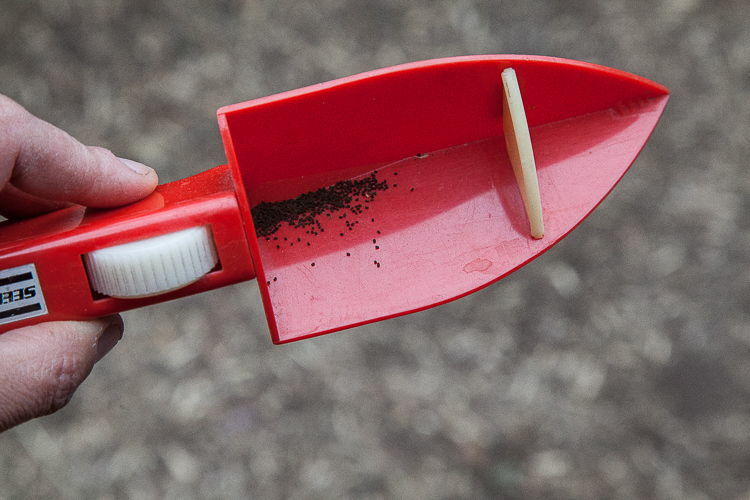 For very small seeds such as these snap dragon flower seeds I use this seed dispensing trowel. 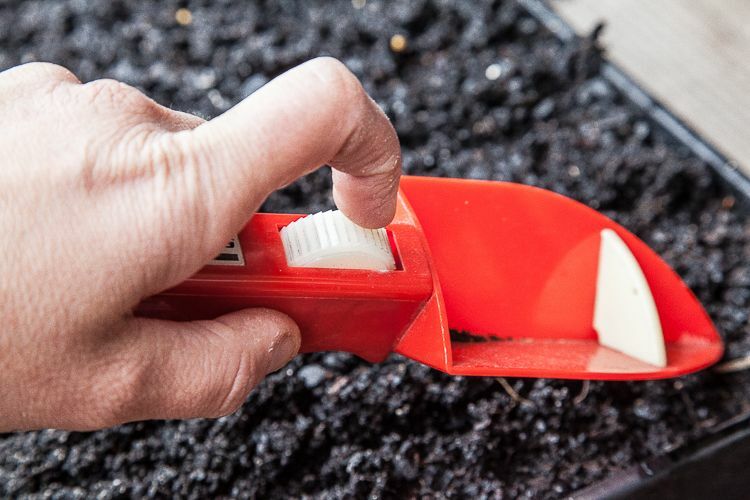 You turn the round wheel and it vibrates the trowel and forces the seeds to move down it and into the furrows. 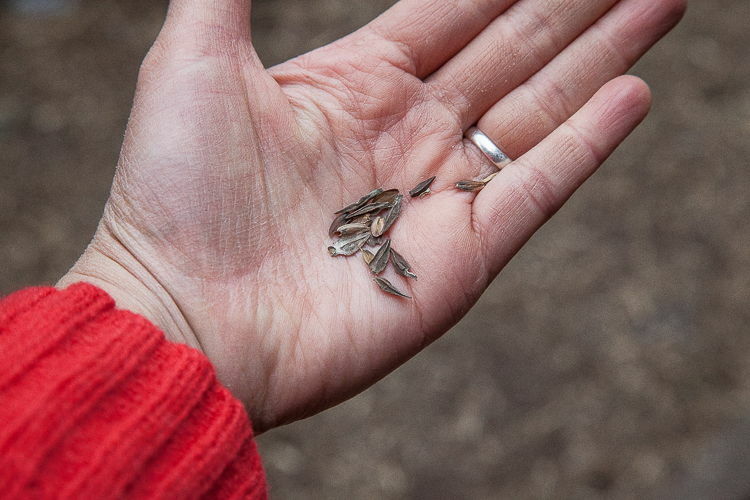 With large seeds such as these zinnia seeds I can use my hands. 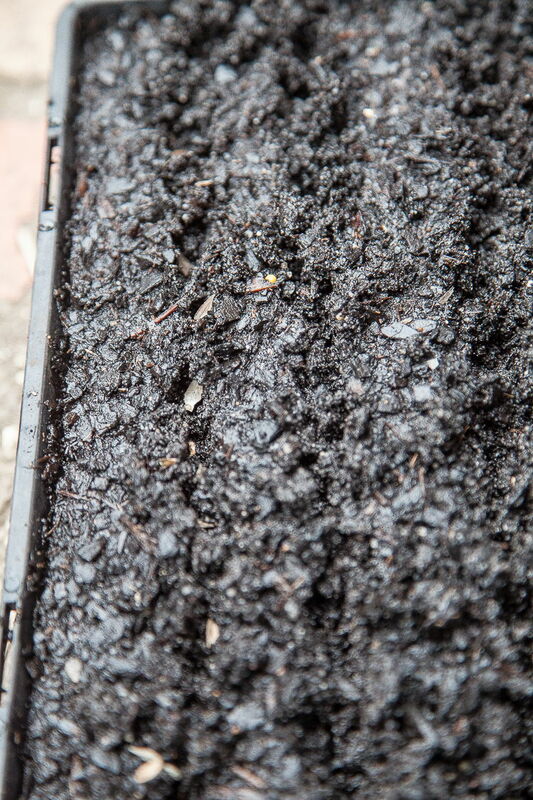 Once the seeds are in I use my finger tips to gently push the edges of the furrows in. I water in well again with a drinking bottle. 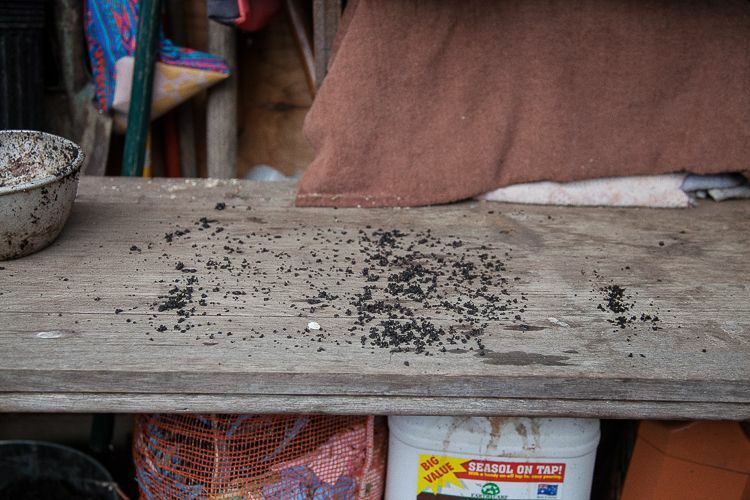 Seed raising media left on workbench will not be wasted. I sweep up the remaining seed raising media and place it back in my container to be used in the future. In the greenhouse it goes. 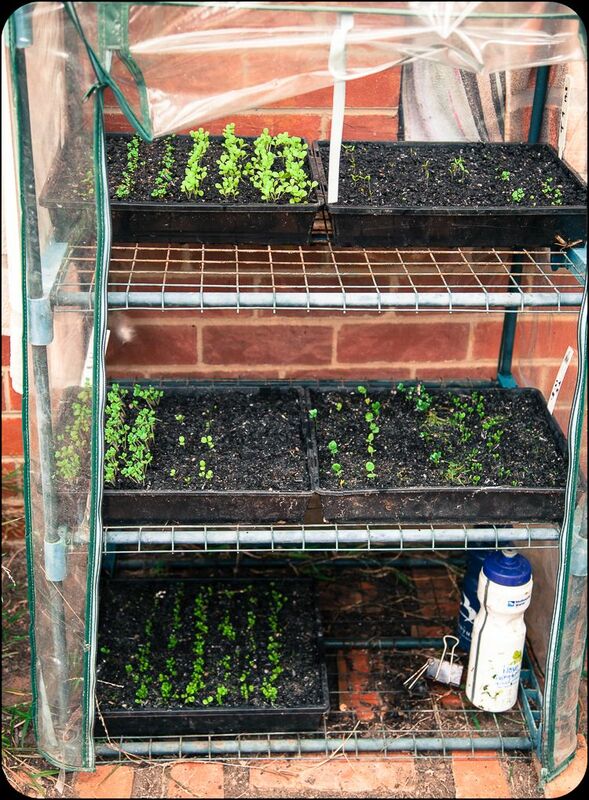 The larger greenhouse takes seed trays that have already germinated. 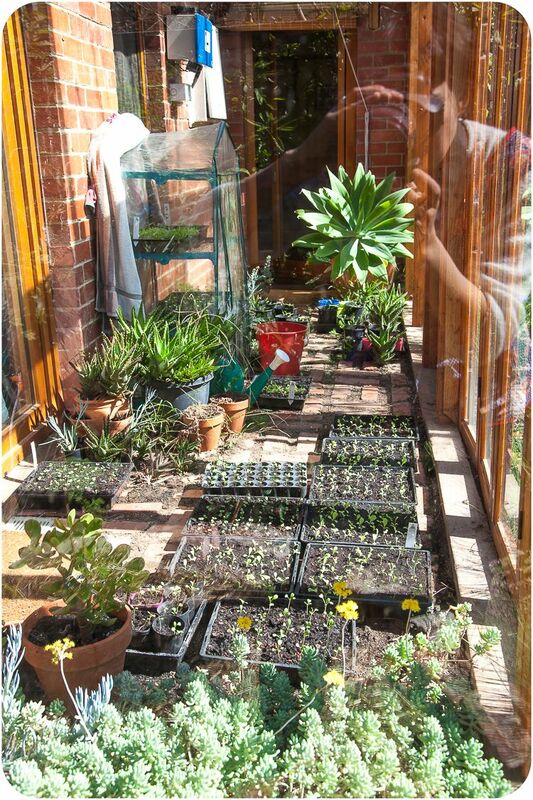 Th smaller greenhouse is used to germinate seeds. Lots of room for all my sprinter seeds. 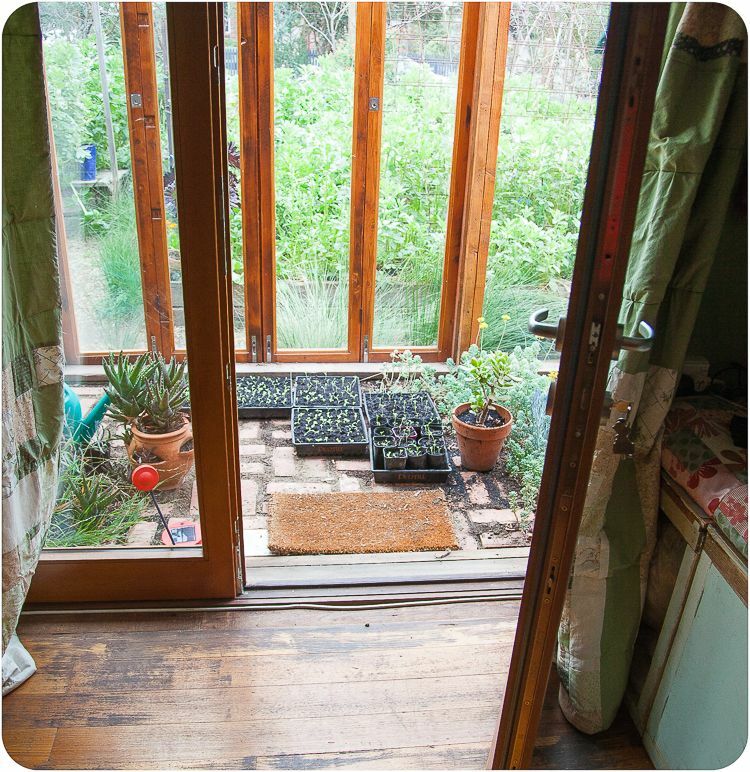 I can access the greenhouse from the study, making it easier to look after the seedlings.